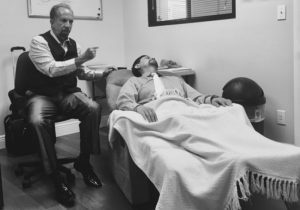 As a certified hypnotist instructor and certified quantum hypnotist, I help clients with unique hypnosis private sessions which are fundamental to obtain information that enables them to improve their life mentally, physically, professionally and emotionally. These sessions unlocks the individual’s power to self-heal, obtain greater personal success and to move away from afflictions from of the past creating a new persona. Why Would Someone Wish to Experience a Hypnosis Session? Some people are looking for help with healing a physical issue or disease. Other people have emotional issues or relationship problems. Some people want to know what their life purpose is, if they are on the right path or which path should they follow for success. Still others have questions about reality, what is their devotion and intention on their life they are just looking for answers. 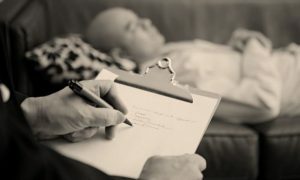 During our hypnosis session you may experience one or more “lives” and discover deep and profound connections to your current life situation. 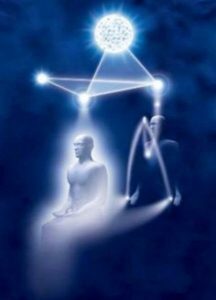 Then, we make a connection to your subconscious mind where you have all the memories form this present life and past lives so we can analyze, learn, ask for answers for the appropriate healing and transformation. The Subconscious has the ability to identify any physical and emotional problem it detects within the body and explain the causes for its presence, be it from the current life or a past life. The Subconscious is then asked if it is suitable for healing and transformation to occur, which, if it is, is done instantaneously with no medication, surgery or pain involved. Very often, simply understanding why a disease is present or why a particular emotion is being experienced is sufficient for it to be relieved and removed by the Subconscious agency. Before detailing this list of what is possible in terms of healing and transformation, it must be stated that healing can only occur if an individual wants to be healed, nor would it heal a physical problem someone had created through the lack of care for their body if they had not yet learned the lesson to love and respect their body. There are no guarantees, but below are some of the subjects that can be managed with quantum hypnosis and many with outstanding results already experienced by John’s clients. Preparing a written list is a very important part of the process. It is important to take the time to really think and write questions about issues in your life you would like to solve either heal emotionally and or physically. Some things to ask yourself while making your list are: physical and emotional issues, even small ones, frequently physical and emotional issues begin in small ways, but if not healed or brought into balance can progress into larger issues. Understand and solve issues with friends, family members and romantic relationships. If you notice certain patterns in your relationships that you would like to change, or simply do not understand this is a good way to get clarity and change long standing damaging patterns. One way to see patterns is to go back over your life since childhood with the intent of seeing patterns with parents, relatives, teachers, political and religious authorities, friendships and romantic relationships. People in your life that you had difficult relationships could mean there are emotional traumatic memories repressed and tied to the past which can be worked on. In your financial arena, we would analyze your job, professional career and business development. Are you happy in what you have chosen to do now days? Or is there something you have always dreamed to start out? But you can’t get it going. Why is that? Patterns as a child and possible inherited patterns that have played a role in your life such as; fears, addictions, scarcity mentality, shyness, loneliness, physical and mental abuse, infidelity, physical diseases etc. cancelled at least 2 days before your appointment. Payment is accepted by cash, credit card, PayPal transfer, in the office. Disclaimer: Information on this page and website is provided for informational purposes only and is not intended as a substitute for the advice provided by your physician or other health care provider. You should not use the information on this page and website for diagnosing or treating a health problem or disease, or prescribing any medication or other treatment.